We own a Whirlpool front-load washer, Model WFW8300SW01 and Serial HLT4932808. About a month or two ago, the wash cycle would not complete with error code "F21" on the console. To get around this in the meantime, I manually set the dial to drain cycle and this would fix the problem, most of the time. I called around for a local Whirlpool technician and was told it would cost $81 to just come out and have a look. It might have to come down to this but I wasn't about to just hand over my money so I googled some fixes. The error code would also come up some times on drain cycle and am never sure which of the two troubleshooting techniques I applied really made a difference. The manuals say that error code "F21" could be caused by a kink in the drain tube or that the wall power was low on voltage. With this in mind, I tried the following: 1) unplugged the other power bar that shared the power circuit with my washer, and 2) drained water from the drain tube by removing it from the wall drain and raising it high over the my head. Neither 1) nor 2) were consistent in draining the water however, until my wife rearranged the drain tube this way (see illustration). 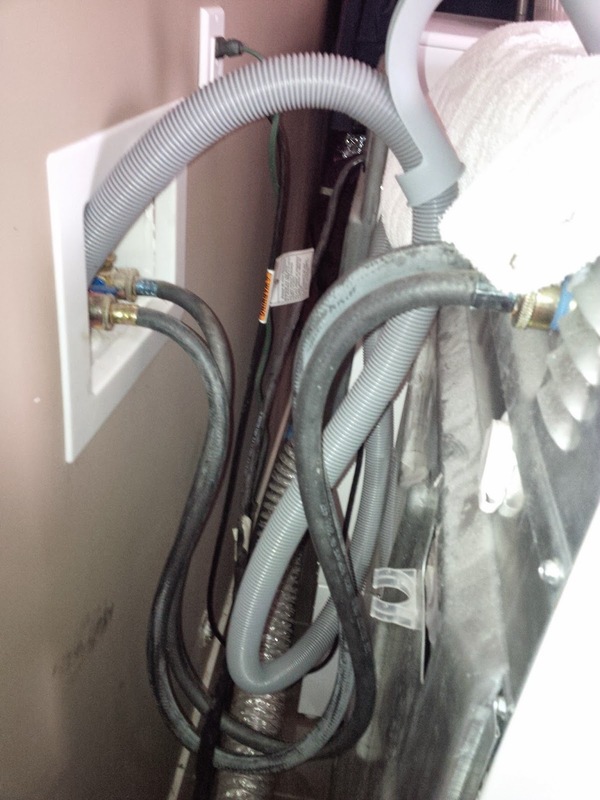 By having the drain tube elevated above the washer, we were able to complete the wash cycle without ever seeing that dreaded "F21" error code again. Knock on wood but it's been working well like before.